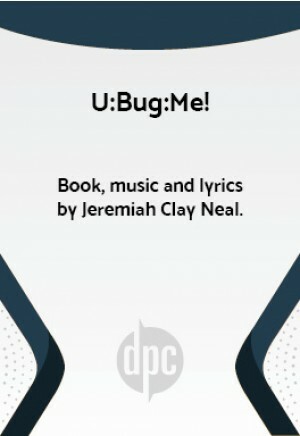 Book, music and lyrics by Jeremiah Clay Neal. Cast size: 1m., 1w., 6 either gender. May be expanded to 40+ actors. Life isn't so easy when you're a bug, and Pico the Fly knows all about it! 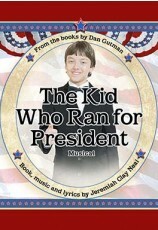 His best friend, Esteban, is a clever earwig who discovers a revolutionary way to harvest soil. With high hopes, the oddly paired bugs and their Super Soil enter the Queen Bee's weekly soil contest with plans to change the world! The bug world, that is. The clumsy caterpillar Isabelle cheers them onward despite the recent rumors about her interspecies relationship with Pico. But things change when the horsefly Packo bullies Pico into a discombobulated mess and steals the Super Soil from Esteban. Pico is forced to leave the yard and find new friends, while Esteban is left in ruins. With the help of two hilarious cockroaches and a poisonous centipede, Pico discovers a new attitude about friendship and love. His triumphant return to the soil contest will teach all species a golden-rule lesson about what it means to be a friend. Premier production at the Coterie Theatre.